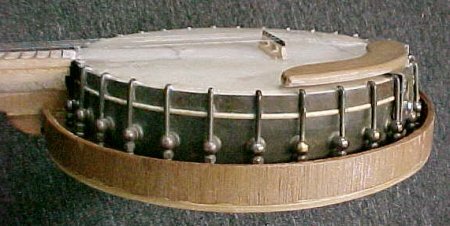 A curious, Homemade Banjo now at ZEPP Country Music, Inc. This is a most unusual piece. 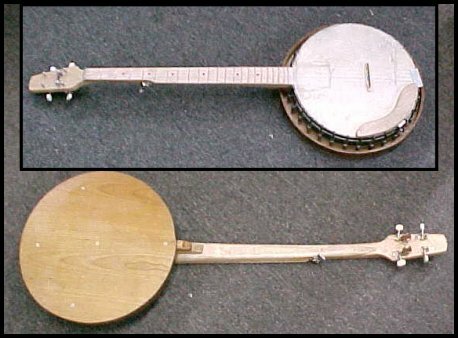 The fellow who made it just decided to make a banjo, using scraps and odd bits. 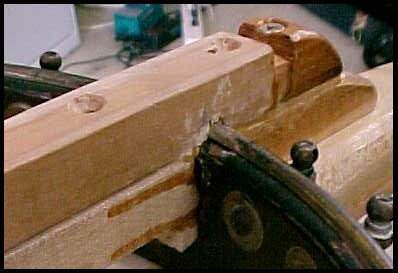 Curiously, he used maple for the neck and the unusual (for a banjo) snake head headstock. 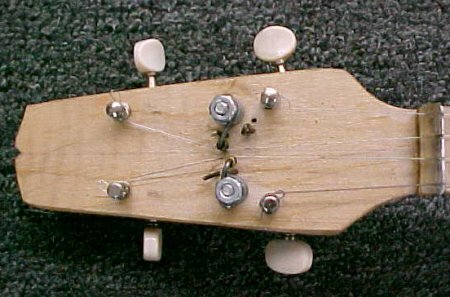 You'll note on that headstock, he hand-built a set of cam-style Scruggs tuners; the amazing thing is that they work!! Note the clever use of ball ends from guitar strings to serve as rollers. 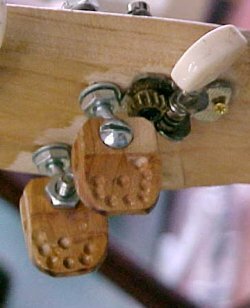 Also note the clever "stops" for the tuners--brads driven into the headstock. 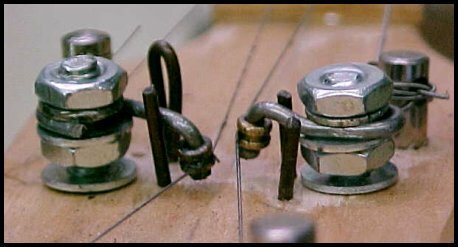 He used only the finest "Triple-Nut" construction to assure clarity of tone. Only the finest quality of plastic wood has been used to fill out the mismatched wooden bits. 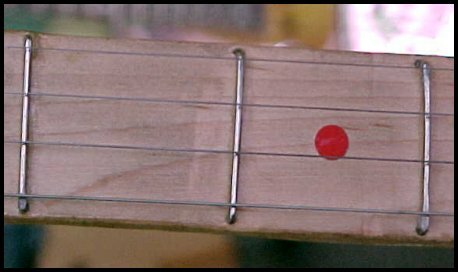 The 5th string peg is nicely made from a cheap guitar tuner, spaced out by not drilling the hole deep enough. 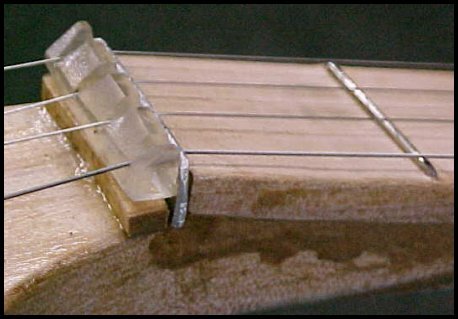 The fretting has been carefully done using only the highest grade of paper clips driven into the fingerboard, and carefully set non-parallel to correct the intonation. Red stick-on dots make nice markers, don't you think? 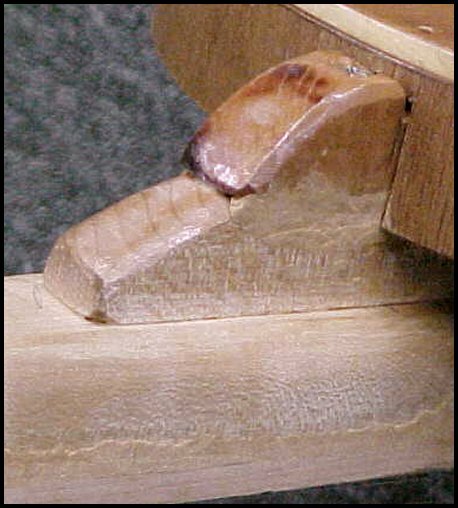 A compound heel has been contrived to assure full contact with the pot. 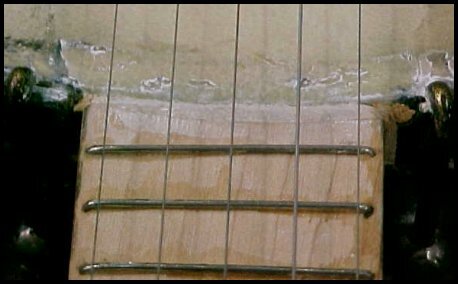 Further assuring good neck-pot contact is the filler used to cover the shims... Copious quantities of Super Glue abound as a fingerboard finish. A store-bought bridge (now, there's a surprise!) is carefully adjusted by using top-quality, Pre-War popsicle sticks. The resonator has been carefully crafted from the finest cherry plywood. 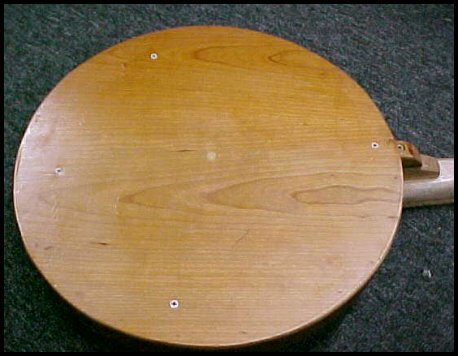 The resonator sides are of some other plywood. 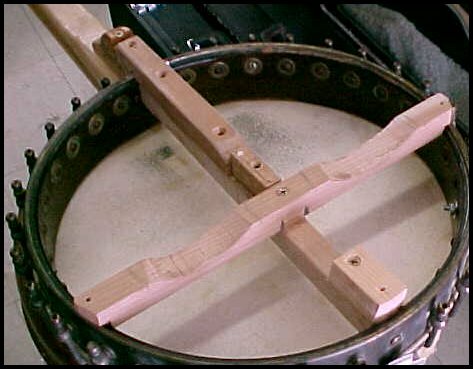 An interesting dowel stick and resonator support system has been devised, too. The pot is a TOC, spun-over, 12-inch job, and gives a halfway decent sound.. The biggest surprise? The thing is playable. Here's an MP3 clawhammer tune on it. And, I love those Scruggs tuners! Regardless, I grew weary of looking at it, and sold this thing for $75 in 2006.